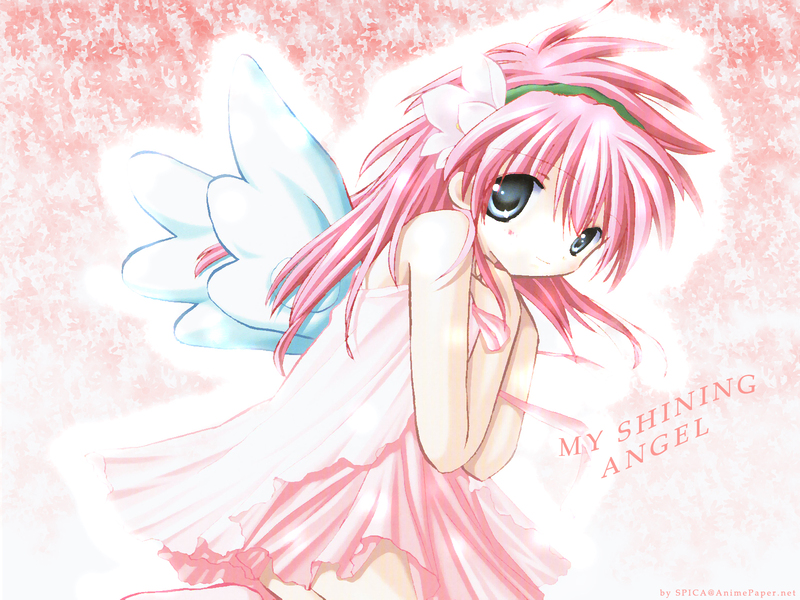 My 7th wallpaper,,or meybe 8th... Feauturing Cute Little Fairy Millfeiulle!^^ well, I call this shining because this wall is "shining"..you know what I mean? well, I glowed a lot of things with my PRECIOUS dodge tool^^ I just love dodging..*dodge-dodge"...he..he.. Well, I did this in PS7, some brushes are from dA, scan from AP. Did this for 1 hour 30 minues,, but that's a "maybe"^^. Add a shining border to Millfeiulle, & glowed some of Millfeiulle's hair, also her face & her clothes^^ Well, enjoy! I love this wallpaper. It's simple but very good done. Yeah! I love this wall to! Wow very cute!She is one of the cutest angels that Ive seen ^^. The cute-ness, it consumes me! GAH! Keep on ur good work, ok? !